Before I visited Cairnsmore of Fleet, National Nature Reserve, I probably anticipated my experience would be dominated by the ‘natural’ and that I would encounter a wild landscape. However, even as I arrived it became rapidly apparent that the landscape was significantly marked by cultural activity. 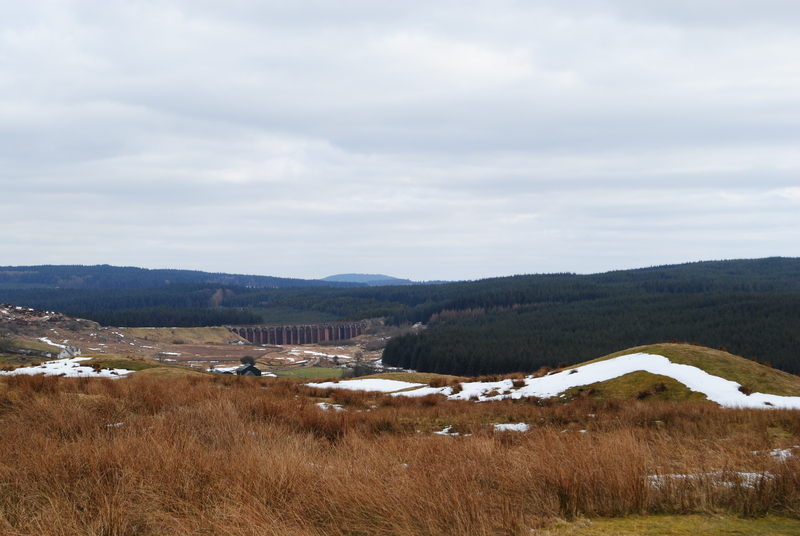 Not only is much of it dominated by significant areas of coniferous plantations but the Big Water of Fleet Viaduct was a striking cultural relict (apparently featuring in the 1935 film version of John Buchan’s 39 Steps). 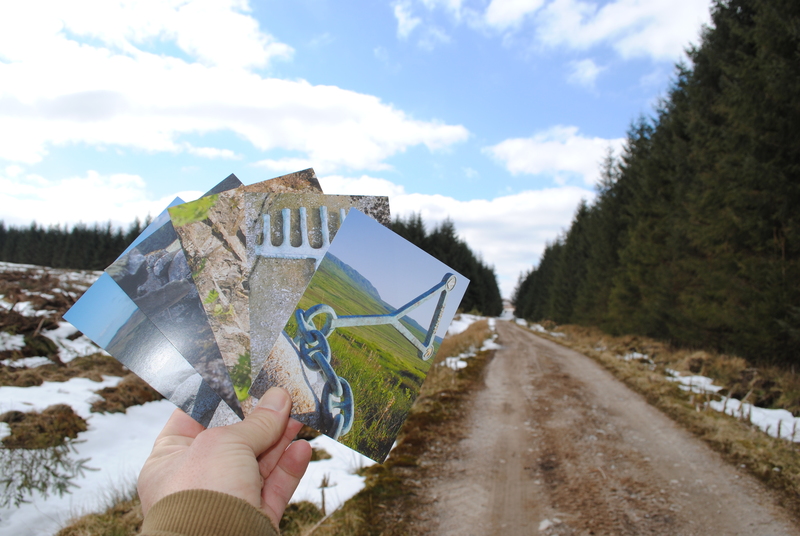 In fairness I was drawn to the site because I knew there was an artwork by artist Matt Baker and poet Mary Smith: a collection of five sculptures and poems (Scene Shifters, Ocean, Hush, Heart and Erratic) which responded to the landscape of Cairnsmore. 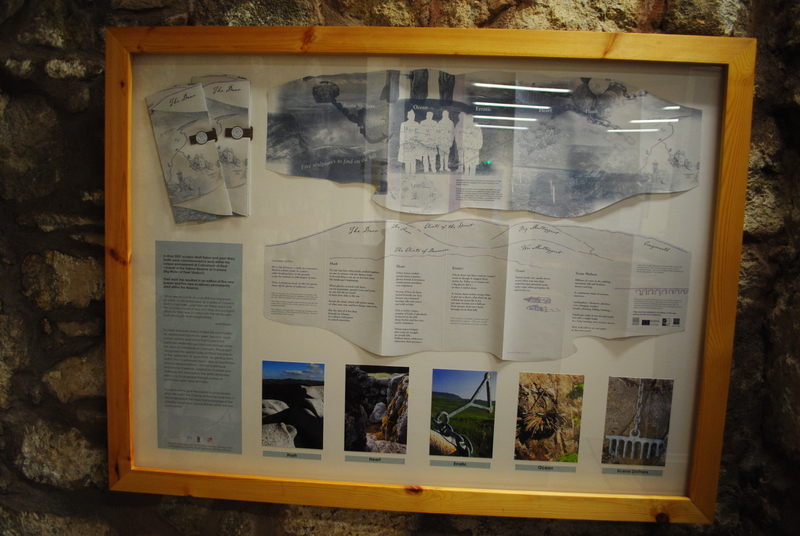 In amongst the buildings of the working farm is a small (but excellent) visitor center with interpretation about the landscape and the art works. 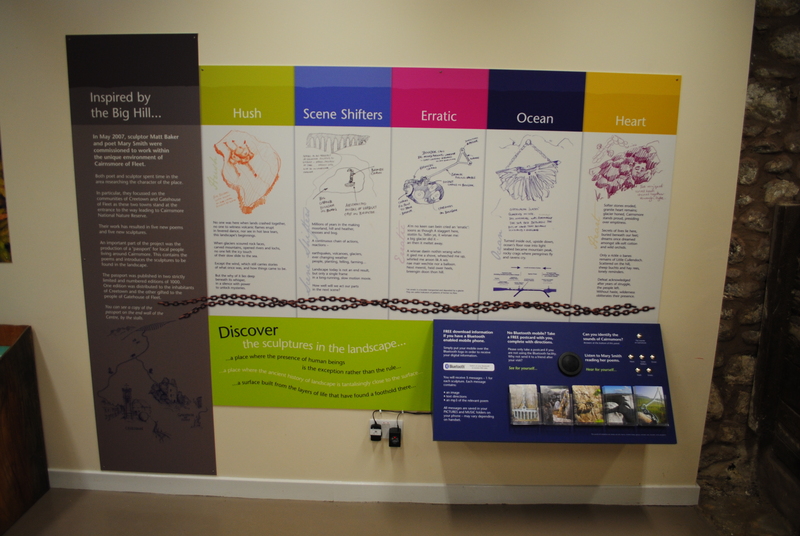 from the visitor centre before the river is bridged, don’t get your feet wet ! 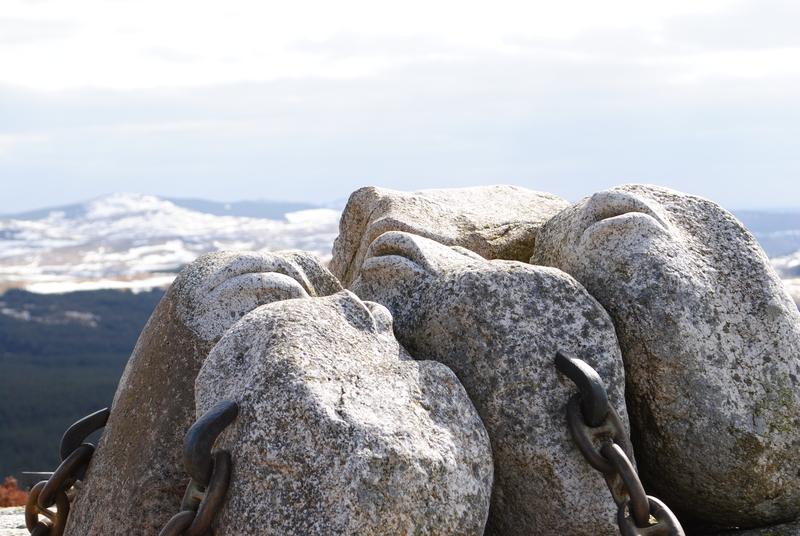 I am not going to show you all the sculptures (sorry, but they are wonderful), as I want you all to have your own journey of discovery at Cairnsmore…..
Over the next four hours or so, I followed the clues and was surprised and delighted by what I discovered. The individual pieces are beautifully sculpted, all imaginatively and sensitively located in their landscape, evoking many cultural and natural references, but it was the way in which they were blended into a journey of discovery which was most joyous to experience. in a long-running, slow motion movie. How well will we act our parts in the next scene? 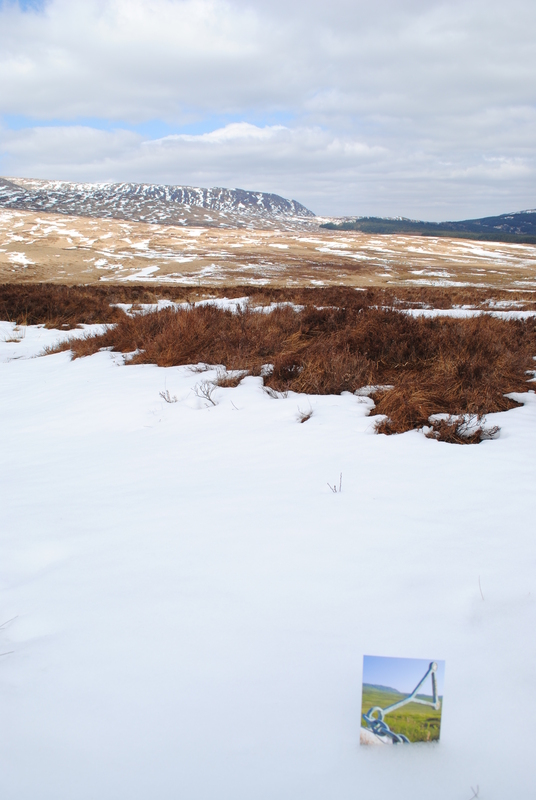 I did not want to give too much away in this post (as I would encourage those who are lucky enough to visit Cairnsmore of Fleet to undertake the journey of discovery which these artists have so elegantly staged for the visitor) but I hope I can give you a flavour of why I found this to be such a great artwork. I was left reflecting on what our landscapes would be like if every one was subject to a similar process of artistic exploration.